If you follow my Pinterest boards you have probably noticed I’ve been on an organizer kick! 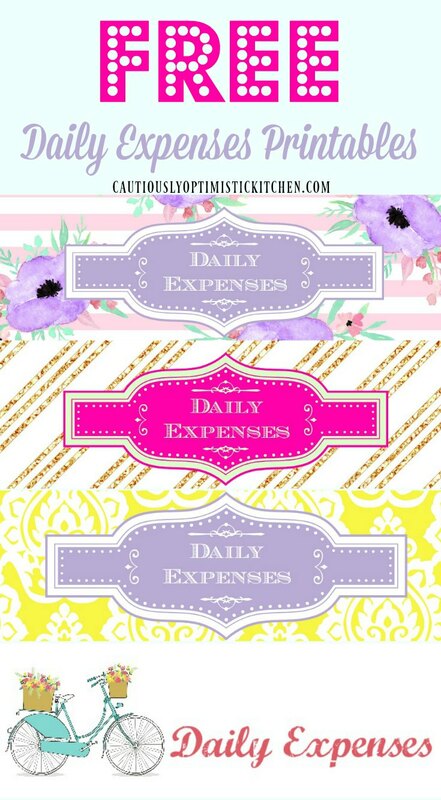 I have been looking for a really cute, but simple daily expense tracker, and have yet to find one I really like. So, I took matters into my own hands and I created my own! I have created several printables over the last few days for various things and I will be sharing those with you in the next few posts! I’d hate to overwhelm you with a bunch of free printables and all! 😉 So today I will just share these expense trackers with you! I recently decided I wanted a new way to keep track of our expenses. Most of the printables out there are great. but a little overwhelming! I’m not quite ready to micromanage our money/budget so I just needed an old fashioned check book register. So why didn’t I just use one of those ugly, boring ones that comes with my checks? Well! Cause they are ugly and boring! Duh! And also because I wanted to hang it on my fridge. And because I wanted to be able to track if we spend cash or used our debit cards or more rarely, a check. In this printed version of my daily expense tracker I created a custom line to note what kind of money we used to pay with. If this isn’t important to you, then you can just ignore it! These printables are just the standard paper size so if you want one for your purse or wallet they may be too big. I haven’t tried scaling them down before printing, but it may work if you try! If I end up making a smaller version I’ll be sure to update this post though! I made several different styles so hopefully you can find a favorite! 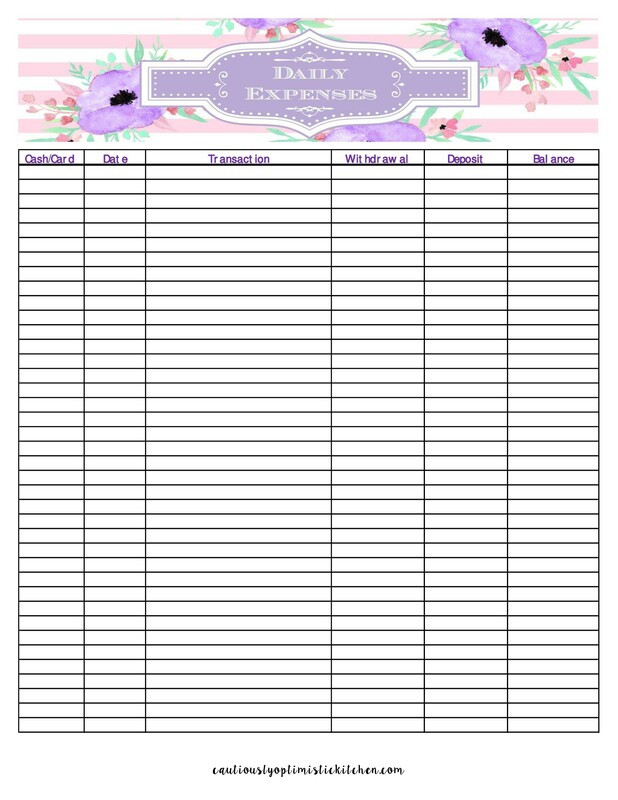 I hope these cute daily expense tracker printables can help you get excited about getting organized too! Click here to download Watercolor printable. Click here to download yellow printable. Click here to download gold printable. Click here to download bicycle printable. ← How I Defeated The Laundry Monster and You Can Too!